In my last post I wrote about Jill, an ordinary Christian who helps out at the home for needy children in Oaxaca,Mexico. I also mentioned she adopted two children. 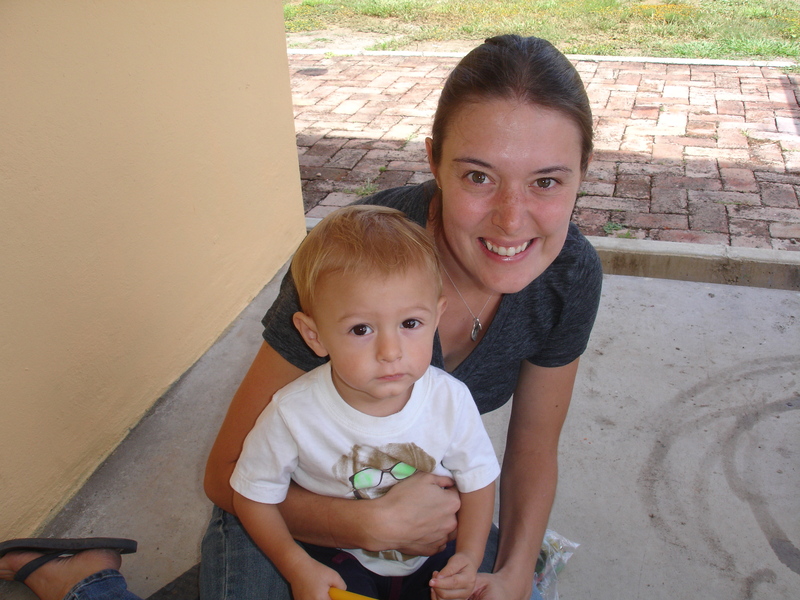 The youngest is Nathan, whom she began to care for when he was an infant. He is now two years old. When she began to care for him, she was told that he had hepatitis c. His mother was a drug addict. Nobody would ever guess Nathan had this disease. He was the picture of good health. I took to calling him Bruiser because he looked so healthy and was so big. Everything went along fine until about three weeks ago when his eyes started turning yellow. Jill took him to the doctor who had tests done. His liver count was about a hundred times higher than normal, and he was still hepatitis c positive. His liver was failing. Jill and Nathan got on a plane for the States, and saw a doctor in Chicago who specializes in children’s livers. He took two hep c tests along with a host of other tests. He told Jill to go back to Mexico, as there was not a lot that could be done treatment wise. Nathan was showing some signs of improvement. His body was fighting the virus, and all they could do was to monitor his liver. The doctor told Jill that the hep c tests would not be ready for a week or so, and that he would contact her when they were ready. 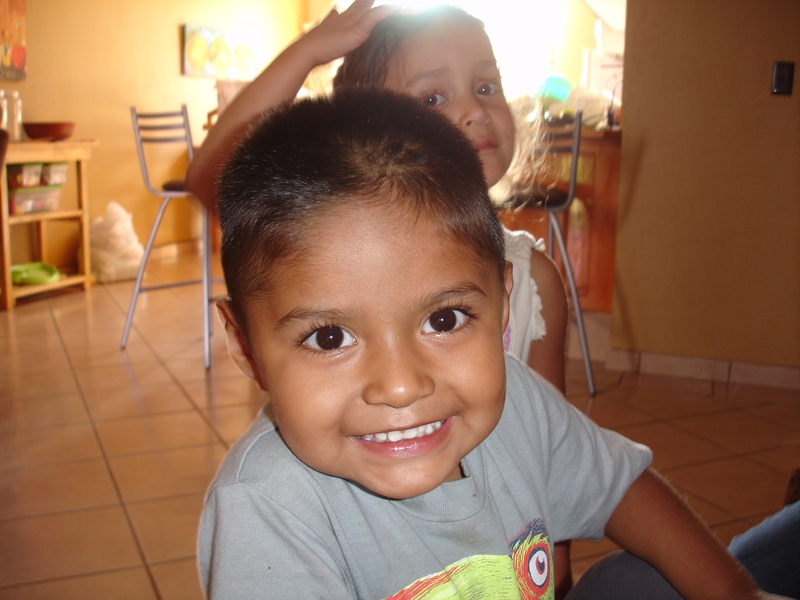 Back in Mexico, little Nathan continued to improve. So much so that Jill was able to travel to Foundation For His Ministry (FFHM) children’s home in Morelia, to help them with a situation of a little girl who had fallen into a coma, and needed specialized treatment in Mexico City. While in Morelia, a lady came up to Jill and told her that God had healed Nathan. Jill was incredulous and simply said “Thank you.” Shortly thereafter she received the results of the U.S. hep c tests. Nathan had tested negative. His body was clear of the hepatitis c disease. But, he still has an abnormally high liver count. He was healed of hepatitis c, but there is still a problem with his liver. He didn’t receive the “whole healing”. Why not? When Jesus healed people they received the whole healing immediately. But not Nathan, and perhaps, not you or me. Sometimes we ask God fervently for healing of our aches and pains and diseases, and we are not healed. After beginning my study of Matthew 8 + 9, I injured my back and was in pain. I remembered what the leper said to Jesus, “if you are willing you can heal me.” Jesus said, “I am willing” and healed the man. So I said to Jesus, “if you are willing, you can heal me.” Jesus seemed to say to me, “I am not willing.” My back still hurts. Why would Jesus say to one of his followers, one of his disciples, “I am not willing to heal you”? I think the answer revolves around faith. Faith is mentioned many times in these two chapters of Matthew. Because of a person’s faith, or great faith, or the faith of friends or family members, people are healed. So are we not healed today because we lack faith that Jesus can heal us? Quite the contrary. Any Christian who takes even a cursory look at the gospels sees that Jesus healed anyone and every one who came to him asking for healing. Most Christians have no doubt that Jesus can heal them, which makes the question even more perplexing. The issue is faith, but not faith that God can heal you or me, but faith in the idea that God loves us and wants us to be happy. If we believe that God loves us and wants us to be happy, then, even if we are not healed physically, we will rejoice in God our maker, because in his wisdom and knowledge, he knows what we do not know about our future, namely, that somehow, someway, we will be happier by not being healed immediately of our physical infirmity. Carmen is a good example of this. I mentioned her in my last post as well. She works in the mission school and is married to Fabian, the administrator. She shared in devotions a couple weeks ago about having bone cancer when she was 15 years old. She said it was a painful time; a scary time; and a time that she wouldn’t trade for the world. Why? Because of what she went through then, helped transform her into the happy person she is now. She told the story of the prognosis – bone cancer in her ribs. Her doctor said they would take out a couple of ribs, and then begin chemotherapy. Sure enough, they took out two ribs, and after recovering from surgery, she went back to the hospital to begin chemo. The doctors prepared her for the treatment, and then discovered that Carmen had not eaten anything, and she needed to eat something, so she went to the cafeteria to get some food. In the meantime, the doctor received some test results back from the Mayo Clinic. A doctor there said that if one more rib was taken out, that might cure her and she wouldn’t have to have chemo. The doctor at the hospital discussed the situation with Carmen and her family, and they decided on removing the third rib. After the rib was removed, she was tested for cancer, was found to be cancer free. She was checked regularly after that for eight years and remained cancer free. Ask her if she would change anything about that time in her life and she would tell you, “NO.” Why not? Because during this difficult time in her life, a lot of her friends grew distant and stopped coming around. She said that was a good thing, because girls from her church became her new friends, comforting her, helping her, being there for her. Later on in life, some of her old “friends” got involved in drugs and one even went to jail. So that was one positive – New Friends, which became True Friends. Secondly, she thinks about all the adolescents who fight and argue and rebel against their parents, especially their mothers. If she didn’t have cancer, she could see herself going down that path, but with the cancer, her mother became her primary care giver, and they developed a close bond that continues to this day. Because of the faith of her friends and mom, she grew in her faith and dependence on God. Her love for Him grew incredibly. After high school she went to Bible College and then began serving God along with FFHM in the Baja peninsula. Now she is enjoying and glorifying God here in Oaxaca. Finally, the mission pastor here showed a few short video clips of an incredible man named Nick during his sermon last Sunday. Nick was born without arms or legs. He begged God to heal him, to give him arms and legs, as a boy. He wanted to be normal, like all the other boys. God didn’t give him arms and legs. He begged God for a reason why He made him so different from everyone else. He tried to commit suicide in the bathtub at age eight. He wasn’t successful, partly because he thought of the great love his parents had for him, and how bad they would feel if he killed himself. Finally he came to the realization that God loved him and wanted him to be happy. On the video clips he looked like one of the happiest people I have ever seen, as he travels the world telling people that God loves them and gave his Son for them, so that, they too, could be full of joy, peace and purpose. Ultimately all Christians are healed. Sometimes they are healed by a supernatural touch from God. A lot of times they are healed by the bodies natural healing process. Other times they are healed by medicines and doctors. If they die, they are risen to new, healthy lives, living in the immediate presence of our loving heavenly Father. One way or another, we all experience healing, the whole healing, and nothing but the healing, so, thank you God!